Jason Matthews - Novels - Self Publish - Connect: Heading off to Italy! We're really doing it! Jana and I have talked about a trip to Italy since we met. Now we're on our way. 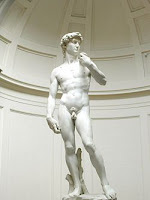 We'll be enjoying fine wine and food, museums galore, and even catching a soccer match at the Olympic Stadium in Rome. Will have more to tell in a couple of weeks. Until then, Ciao!